A bead crimper can come in handy for many projects. 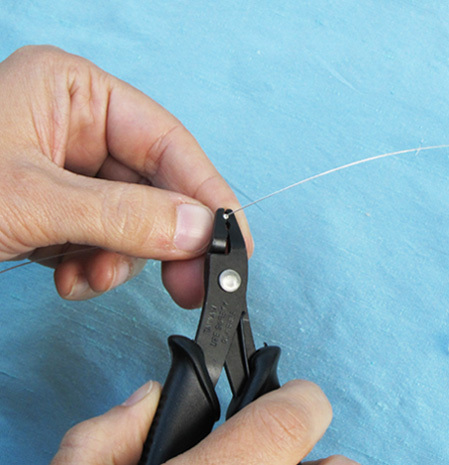 It will allow you to fix a bead or finding anywhere along a flexible wire and you will also use it to finish the ends on your wire. 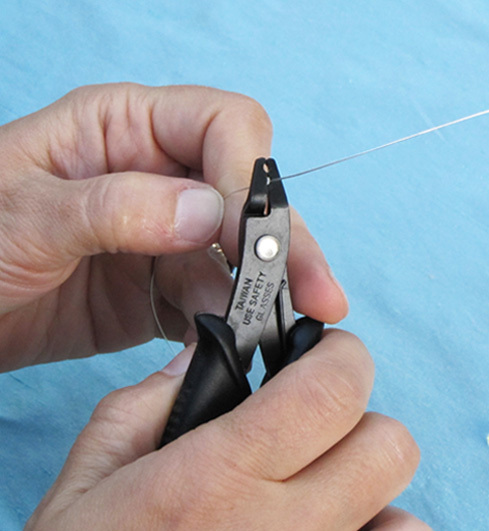 Step 1 - Position the bead on the station closest to the handle of your pliers and squeeze firmly. Check to see that it is the crimp is flattened and shows a creased fold on the back side. This fold will allow you to compress the crimp to take hold on the wire. Step 2 - Next, position the crimp bead at the first crimping station near the tip of your pliers with each end of the flattened crimp resting in the recessed areas of the the plier cavity. You will need to turn the flattened crimp the opposite direction of how it faces when you remove it from the first step in order to fold the crimp in half and compress it. Squeeze firmly until the crimp folds in half at the folded line that you created in step one. Your crimp should fold in half and compress into a small firm hold on your wire. Now that you know how to crimp you can use various types of flexible wires such as Beadalon, Accu-Flex or Soft Flex to make single strand or multiple strand necklaces, bracelets and earrings. Be creative and experiment with different wire colors, gauges and strengths. Accu-Flex is available in .925 Sterling Silver, 24 kt Gold-Plate, steel and a variety of colors. Beadalon and Soft Flex are also available in a variety of colors including an antique brown that would lend itself very well to vintage style designs.